For many of a certain age the mention of Video Village will conjure up some fond memories. 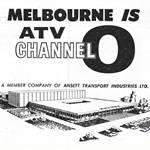 Video Village was a popular game show of the 1960s, produced by Crawford Productions for HSV7 in Melbourne and screened on a number of interstate stations. 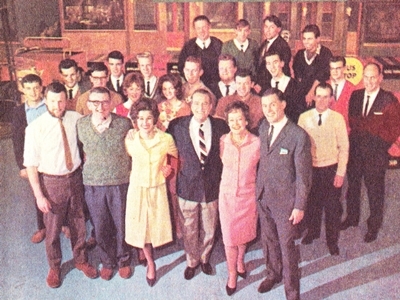 Launched in July 1962, Video Village was hosted by “mayor” Danny Webb, a presenter at HSV since its inception in 1956, with “mayoress”, actress Elizabeth Harris and “town crier”, singer Chris Christensen. 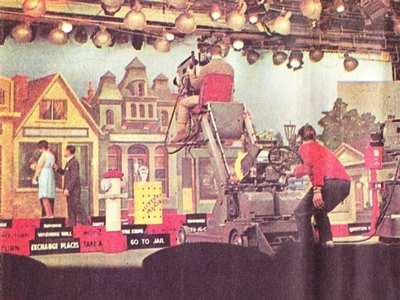 Based on an American show of the same name, Video Village took the format of a life-sized board game where contestants made their way around the “village” by completing tasks or quizzes. 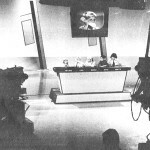 The show originally screened in an early afternoon timeslot but by April 1964 it had shifted to the after-school timeslot of 4.00pm, making it more accessible to younger viewers. 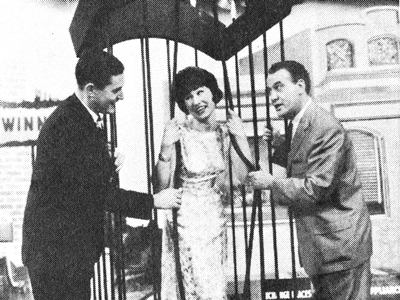 Such was its popularity that the show would receive anything up to 4000 letters a week — mostly from would-be contestants but others would be fan mail for the show’s hosts or even lottery tickets bought in their name. 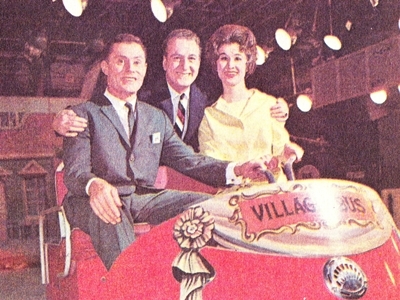 Some letter writers also admired the three-wheel electric-powered bus that would ferry the hosts around the set. 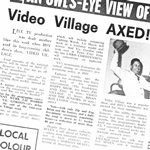 The show continued until April 1966 after Sydney and Adelaide TV stations stopped buying the program, and as HSV was making a dramatic purge of children’s TV production — with the long-running series The Happy Show also axed some months earlier. 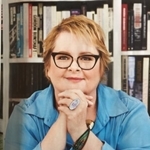 Webb continued as a presenter and journalist for HSV7 for many years afterwards, while Harris moved onto The Magic Circle Club, Adventure Island and roles in various dramas including Prisoner, Sons And Daughters, A Country Practice and GP. 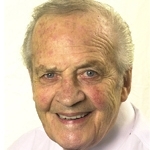 Vic Gordon, who had replaced the late Christensen as the village’s “town crier” in early 1966, concentrated on theatre work but would later return to TV in the 1970s in drama series Matlock Police. Source: The Age, 5 July 1962. 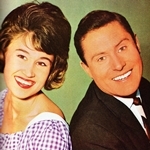 TV Week, 8 September 1963. TV Times, 20 April 1966. I was also a child contestant (probably early 1960s) and was hoping to get a copy of my episodes. Did you have any luck and do you have any suggestions please? Hi Michael your chances of getting any footage are very slim. Most likely the footage no longer exists, and even if it exists there are often copyright restrictions on releasing footage. I can only suggest you contact the National Film and Sound Archive in Canberra or perhaps Channel 7 but again I doubt either of them will be able to assist. When it screened in Canberra we never missed an episode. Loved it…so much that we had the Video Village board game. A few years ago I managed to track one down – all complete and (most importantly) made by John Sands in Australia, not the US made version.